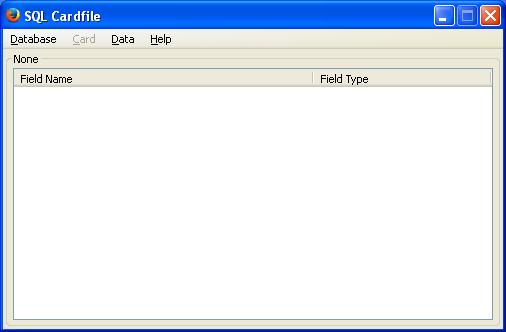 SQL Cardfile is a simple card file database using SQLite as the backend. 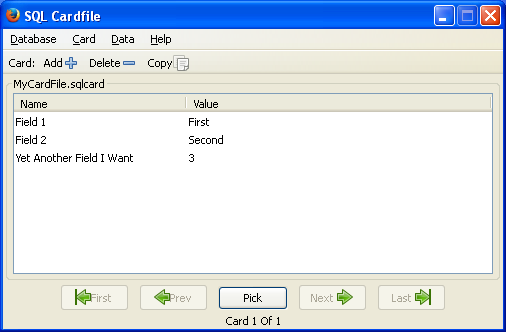 It is very similar in layout to the sort of cards that would be found in an old-fashioned library card catalogue. It is designed to be simple to use but versatile enough to fit a range of situations. 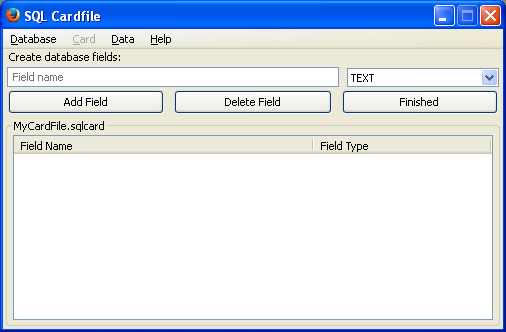 All that you need to do is define the fields you want on the card (and their type) and you are ready to go. If you need to create a complex database, need different layouts or need functions then this is not going to be a suitable solution for you. If you prefer a stand-alone version you can find one here. Status: Preliminarily reviewed by Mozilla. Added the ability to sort databases. Now available for SeaMonkey as well as Firefox. Minor bugfix to allow the main and help windows to be resizable.